Who are we trying to impress ? Its a sad but true fact, that some people are living the lives that others dictate of them. They try to match the behaviour of others, their peers, those they look up to. Be measured by standards that aren’t their own. This simple quote says it all. Too many people spend money they haven’t earned, to buy things they don’t want, to impress people they don’t like. I know about it, I’ve been there in the past. Living in a small new housing estate where you were permanently under scrutiny by the neighbours, watching your purchases, your clothes, the cars you drive, what you did, where you went. A measure of you being able to ‘fit in’. As it turned out, there were a lot of unhappy couples. There were just two couples who didn’t stay long. They had plans of their own. They didn’t fit in. They had their own view of how life should be lived, one of escaping the rat-race, the material world. One couple moved down, a smaller house, less debt, more time to concentrate on the things they valued. The other couple, well they did their own thing, one of them writes a minimalist blog now. Does this scenario sound familiar, who are we trying to impress, please share or add a comment below. I’d be delighted if you mentioned this on twitter. Why not sign up by RSS or e-mail to hear more. Are we hiding our true values, or lying to ourselves ? Good post. Can relate to this all too well. Hiya, I really like this blog. I am trying to get down to less than 100 possessions, each member of our family doing the same. 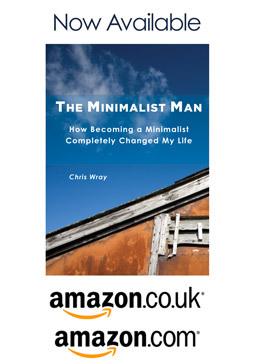 So I really relate to minimalist living. I say that, but I have to stress that I am on the beginning of my journey. I sit here, at a cluttered desk, with boxes in my living room full of stuff waiting to be photo’d and posted on ebay. I wonder if I will ever get down to 100 things. In the meantime I can come back here for inspiration, hurrah! How many possessions do you have compared to me ? How do I declutter ?